Northern Ireland is awakening to flavour. The country has always had a strong agricultural tradition and a dynmaic culture of superb restaurants. But, in the last five years or so, a tribe of atrisans, producing raw milk blue cheese, and goat bacon, and salt-cured beef, have begun to fire up standards, demands and expactations. The North is awakening to flavour. And the great thing about these flavours is their distinctiveness. Nothing tastes like North Coast shorthorn beef. Nothing tastes like a Potravogie prawn. Nothing tastes like a sourdough bread from Antrim, or a cup of freshly roasted coffee in Coleraine. And marching hand in hand with this taste awakening is another tribe, of talented cooks, brewers, publicans, marketeers, folk who are forging relationships wirth their fellow food lovers to create like-minded communities on the Northern Coastline, in the markets, in south Down, in Derry. In truth, the food scene in Northern Ireland is more exciting than it has ever been, more hungry, more eager, more ambitious. The food lovers of the North are writing a whole new chapter for their country. This comprehensive and independent guide to Ireland gives you the best recommendations, whatever your budget. Over 2000 recommendations for every type of adventure. 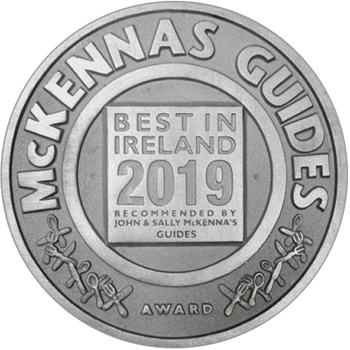 Local experts John and Sally McKenna are your personal guides to the very best of Ireland. 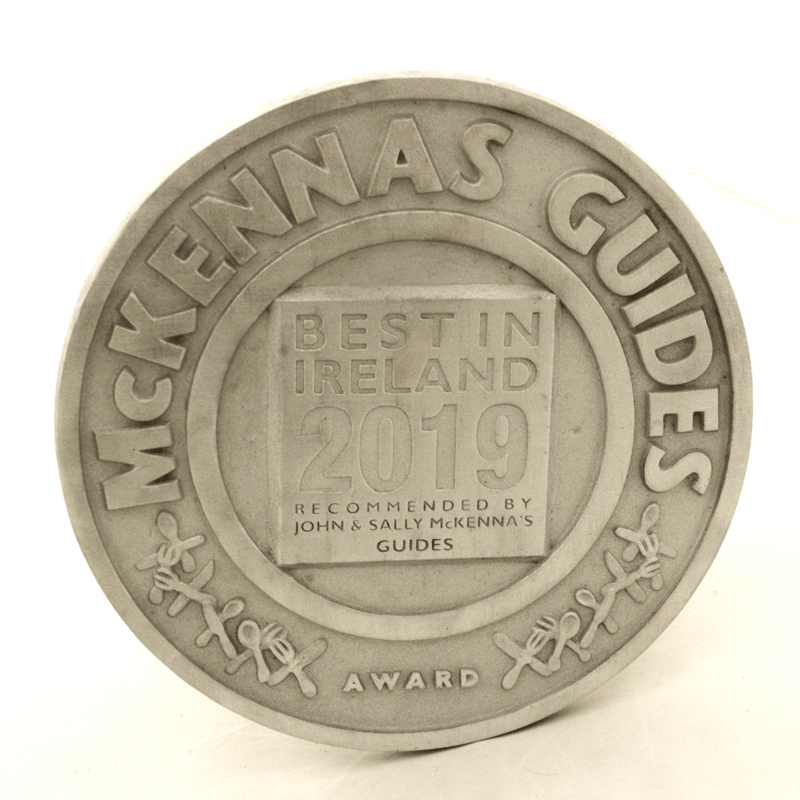 The plaques and certificates from McKennas’ Guides are displayed by establishments that have been personally approved, and who are part of the McKennas’ Guides community. Click here if you have been invited. Hadskis in Belfast is firing out some pretty darn perfect food. Orla Smyth’s trio of Belfast cafés are the height of hygge coolness.